…must come to an end. Isn’t that how the saying goes? Newspaper advertisement for the last film shown at the Grand Theatre, Creston BC – October 1, 1960. 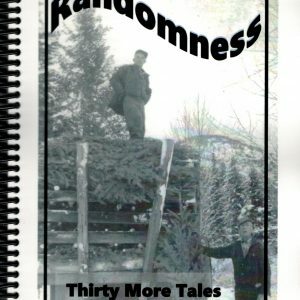 When we look back at the history of the Creston Valley, we see a lot of “lasts.” Like the one hinted at in the newspaper ad to the left – the last movie shown at the Grand Theatre. There are plenty of others, too. The last run of the last sternwheeler (the SS Moyie). The last run of the West Creston ferry. 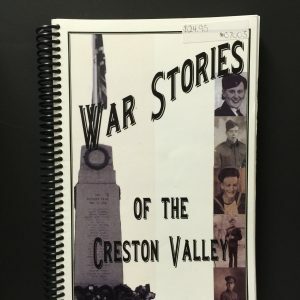 The last class to graduate from Creston Valley Junior-Senior High School, the last classes at Wynndel School, the last …. oh, there’s a whole bunch of them. The Creston Museum’s “Suffragette Tea” from 2012. 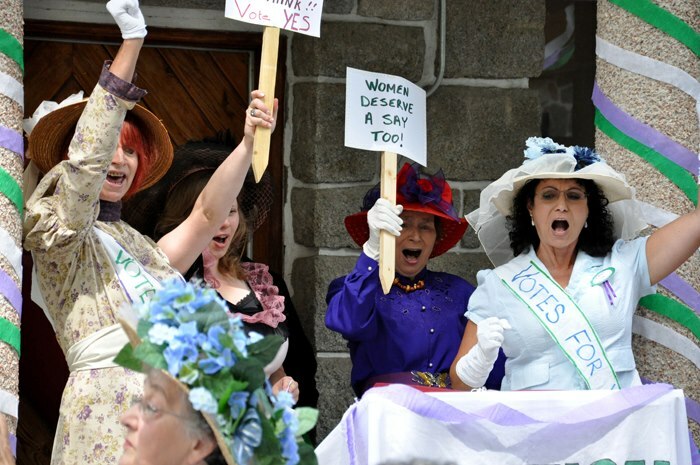 The “best” Tea the Museum has ever had, she says, was the “Suffragette Tea” in 2012. 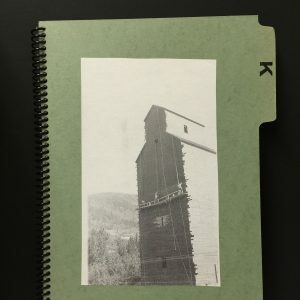 The theme that year marked the hundredth anniversary of a visit from Dorothy Davis of the Provincial Equality League, who made a stop in Creston in 1912 to drum up support for women’s right to vote. 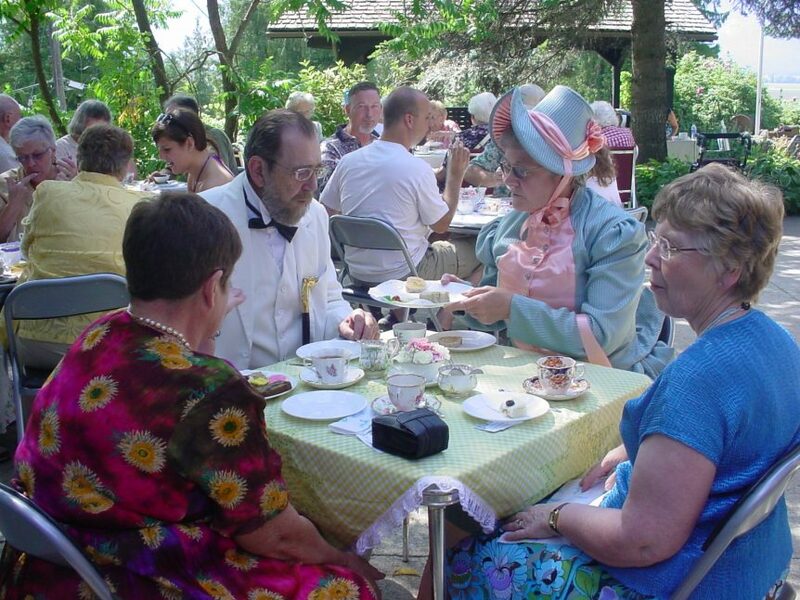 But in recent years, attendance at the Afternoon Tea has been dropping as other Museum events and programs – such as the popular Evening in the Courtyard or the kid-oriented Pioneer Weeks – have grown and expanded, offering locals and visitors many other ways of participating in local history. 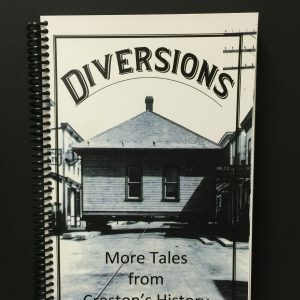 So the Creston Museum has made the difficult and bittersweet decision: the Afternoon Tea on Saturday, August 11, 2018, will be the last. 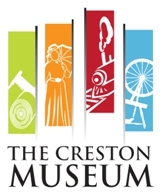 In honour of the occasion, the Museum will also be celebrating a number of “Historic Lasts” from the Creston Valley – the ones mentioned above, and a number of others through special displays and – of course – “visitors from the past” discussing the impact of these “lasts” on their little town. As always, the menu will be a light meal of delicious assorted sandwiches served with tea or lemonade and followed with yummy desserts. 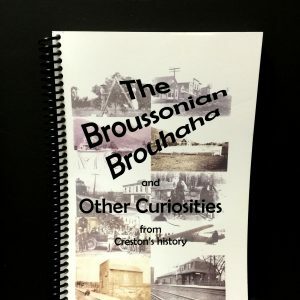 The event takes place on the Museum’s lovely, shaded patio; the Model Railway will be running; and your Tea ticket entitles you to tour the entire Museum and all of its exhibits as well. Costumes: Optional, of course, but encouraged. We suggest period attire from any time in history…or get creative and come dressed to represent a “Last” from local history! We’ve put some ideas on our website to get you started.